…AND WE BEGAN OUR RAMZAAN WITH THESE! The brand ‘Nokia’ has been making it in the news substantially with its big return in 2017, not only with the iconic Nokia 3310 that was unveiled at Mobile World Congress,the world’s largest gathering for the mobile industry, in February this year, but also with the announcement of the launch of its trio of Android-powered smartphones that feature spectacular mid-range specifications. Dubbed the Nokia 6, Nokia 5 and Nokia 3, the trio along with Nokia 3310 is confirmed to be available across the global markets in Quarter 2, this year from HMD Global, the Finnish company that holds the rights to produce Nokia phones. Designed to cater to the mid-range smartphones market, the three Android devices are not the premium Lumia-like devices we’ve seen in recent history, and this time around with HMD adapting a fairly unique approach by offering Google’s Android Nougat OS (7.0) in its purest form, meaning no bundled third-party apps. Also, the Nokia devices would receive regular security updates to ensure pure Android fun. Nokia, however has been a chameleon throughout its history since its inception in 1865, more than 150 years ago. It started out as a pulp mill, then became known for rubber products, till settling in on becoming a giant in the communication business. Be it with the advent of its first commercially available mobile phone – Nokia 1011 (the first mass-produced GSM phone), the indestructible Nokia 3310, the best-selling mobile phone of all time – Nokia 1100 or the first mobile with a camera phone – Nokia 7650; each and every mobile had its own prominent charm and features. The Finish mobile manufacturer was also one of the pioneers of mobile gaming; thanks to its celebrated game – Snake, which still has millions of fans the world over. When Nokia sold its smartphones business in 2013, its board remained anxious over returning to smartphones, but this time around with the seventh version of Google’s mobile operating system – Android. Besides the Google phones themselves, the new Android Nokia phones will be the first of their kind to give consumers a pure Google experience. However, it was in May 2016 when Microsoft labeled their feature phones as “unwanted extras”, and declared that it would be selling its phone business for $350 million to Finland based manufacturing company – HMD Global. Just like a phoenix rises from its ashes, it seems like Nokia is once again set to rule over the mobile phone industry, this time under the HMD banner, which now holds the global rights to offer a wide range of “Nokia” labeled phones. Furthermore, factories of Microsoft Mobiles have been bought by FIH Mobile, a subsidiary of Taiwan-based tech company, Foxconn, that will be manufacturing each of the “Nokia” copyrighted smartphones including other products created by HMD. With the aim of bringing the diminished brand back to life, the deal between HMD and FIH Mobile was concluded in December 2016, with fresh Nokia gadgets to be launched in 2017. Consequently, HMD introduced another logo and a trademark, The Home of Nokia Phones, while Nokia once again made cell phones available on their websites to be purchased. Their first gadgets, Nokia 150 and 150 Dual SIM basic mobile, were announced in December 2016, while their initial Android smartphone – the Nokia 6 was announced on 8 January 2017. According to sources and global news, more than a million individuals preordered the Nokia 6 device in a day in China, making the entire stock sell out within 24 seconds post its availability, urging the former cellular phone giant’s fans around the world to believe that it still is a powerful brand. The Finnish company aims to establish a name as renowned as that of Apple and Samsung to add the brand back to the list of the world’s top gadget manufacturers. Moreover, HMD Global plans to challenge Apple, Samsung and Huawei at the finest end of the market, which is why its devices cost way lower than its competitors. This launch followed the announcement of Arto Numella joining HMD Global as CEO-elect. He will transfer from Microsoft along with almost 5,000 other employees to the company and its Taiwanese partner. The inclusion of Arto Numella is believed to be a good move, especially after he showed his determination at MWC 2017 when Nokia was announced. 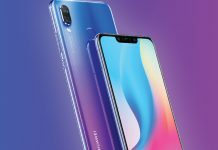 “In the coming years we believe we are going to be one of the top players in the smartphone market globally,” he said in an interview ahead of the launch. “Because Nokia as a brand is known absolutely everywhere, it gives us the opportunity to go global immediately and that’s what we are going to do,” he added while commenting that the absence of Nokia smartphones in the market had been felt by its fans and now when Nokia combines with Android, it may just spur the upsurge in demand for the company’s phones. Moreover, technology experts believe that having Foxconn on board, which is also an Apple supplier, should help HMD Global to build and hold an advantage over its competitors: As the biggest contract phone manufacturer in the world, Foxconn may just offer high benefits and access to the latest technology which should help Nokia provide strong devices in the fiercely competitive Android smartphone market. To sum it up, Nokia phones will certainly act as a refreshing tool for consumers already suffering from the high expenses of purchasing a next level phone and technology lapse in the shape of explosion fears, which are currently surrounding other smartphones. Technology is a very rapid growing industry where opportunity missed is opportunity lost. With the price sensitive markets that persist across Asia, it is imperative Nokia gets its pricing right if it wishes to get anywhere close to its erstwhile status of being the king of mobile business in the country. HMD Global promises to provide its consumers with phones, built on the true hallmarks of a Nokia experience. The brand’s return to the smartphone world is one of the most predicted landmarks in the space for many years now. With Nokia partnering with HMD and developing Android-based Finnish inspired designs, there’s everything to play for and many are optimistic that this association will usher in a new era of prominence for Nokia phones inside the industry it helped to establish. 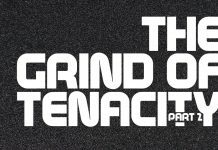 The Grind of Tenacity Part 2 – Why is The Pakistani Startup Ecosystem Not Gaining Ground? Synergyzer is the voice of Advertising, Marketing and Media Industry of Pakistan in publication since 2003.